jar for (drum roll)....25¢!!! It's so much fun finding rare and inexpensive treasures and being a good steward at the same time. 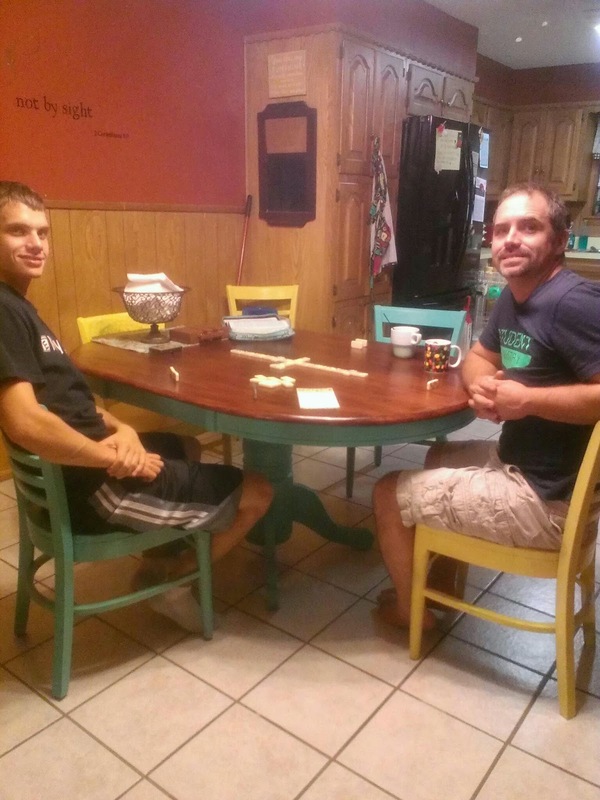 Another great find was our kitchen table. Chad found an old black oval table needing work for only 4$...yes 4$!!! With about 20$ and some elbow grease, he transformed an ugly black table into one of my very favorite treasures! The key to finding great finds is to get to the sales very early. If a garage sale opens at 8, be there by 7:45. I usually "scan" the items quickly and if anything interests me i pick it up. Later I may decide not to purchase the item, but at least I will have a chance. If you want the best prices, it is best to go near closing time. Usually after noon everything goes half-price. However, the later you go, the least likely you are to find that rare treasure. Another thing I do is to only take the amount of cash that is in my budget to spend. If I need to only spend $10, then I take only 10$ and when it's gone, I am done. Saturday is around the corner! I want to encourage you to rise early, have a great quiet time with God, and then hit the sales!